We haven't discussed this one yet in book club, but I'm sure it'll cause a stir. Oh and I'm COMPLETELY unsurprised they're making this a movie, and will totally go see it. 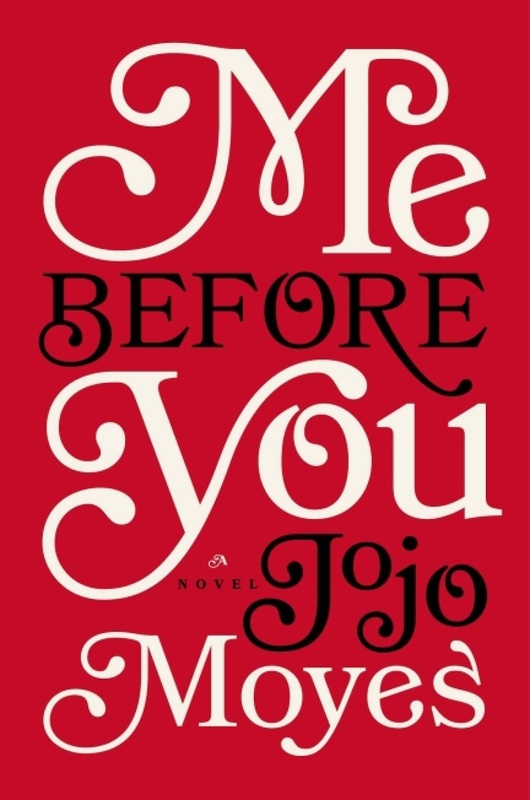 It wasn't until I was halfway through the book that I realized I've read Jojo Moyes before- and even reviewed her book here on the blog. I guess I'll say I like both of her books, and I give her a solid 3.5 out of 5 stars. I liked the characters here, and found their relationship to be very realistic in its development, but some aspects of the book felt peripheral and unnecessary (most of her familial relationships, for example). I also thought that from 40% until 70% of the way through this book was frustratingly circular- nothing moved forward, no new emotions, no POINT to each chapter. In the movie format, this will for sure be a montage. Anyway, give it a read. I find "dying with dignity" to be a multi-faceted issue and am really looking forward to discussing this with my girls next week.